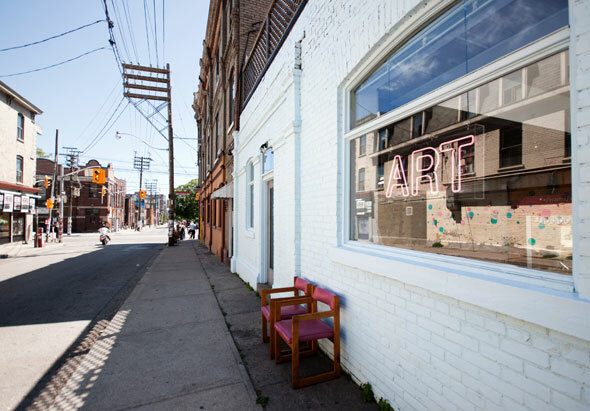 Elyse George Gallery, a small studio tucked just north of Queen St. on Palmerston, is not a mercenary art shop looking to prey on wealthy Rosedalers out slumming it in the downtown core. 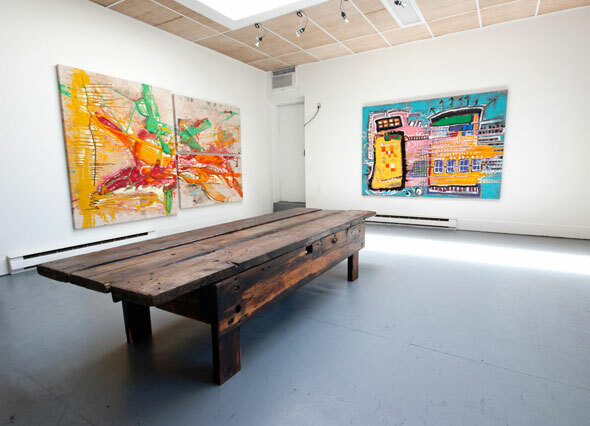 Rather, the quaint, naturally lit atelier, currently displaying the Basquiat-inspired work of Canadian artist, Scotty Schafer, is thought of by owners Jason Cowell and Justine Purcell as a kind of replenishment for the soul. "Elyse George is not driven by profit. 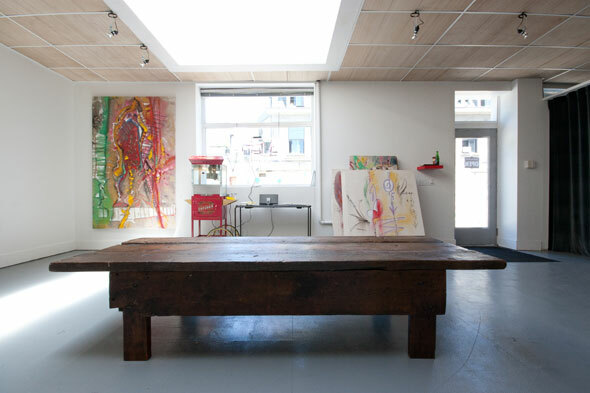 If the gallery pays for itself, we will consider ourselves successful," says Purcell. "If we were to make a million dollars tomorrow, we would put a million dollars back into the gallery." Sparsely outfitted with a 100 year old work bench and an antique-style popcorn machine, the gallery is a perfect forum for the multipurpose intentions of Cowell and Purcell, who plan to hold events that range from Yoga Happenings to guerrilla dinner parties hosted by Marben chef Alex Molitz to curated movie nights complete with imported sod, truffle popcorn and champagne. "Last Christmas we took a holiday to Havana," says Cowell." ""We were struck by all the vibrant colour and the beautiful decaying city and it completely inspired us. We just wanted to add more creative expression to our lives and to the lives of people who might be in the same place as us." 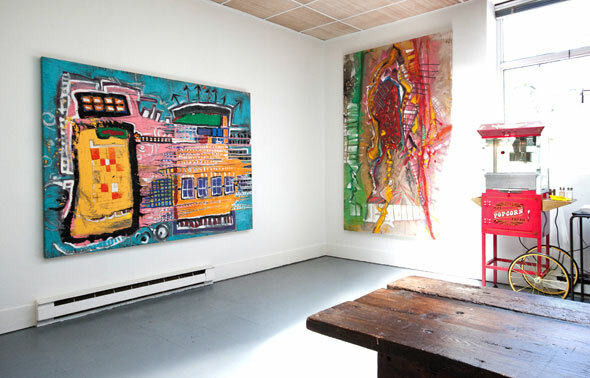 As far as shows go, Elyse George is not committed exclusively to Canadian artists but will showcase the local community as much as possible. Next up on the roster is a show entitled, From the Waist Down, featuring works from Toronto artists in the advertising and graphic design community that act as a release from their corporate workdays and all around creative frustration. Whether one is burdened with creative frustration or gleefully meandering through life with no sense of the mundane, Elyse George, a precipitous entry into the gallery scene, has something special to offer to this upwardly mobile city: a return, however transiently, to the soul.